Snozzcumbers and Frobscottle explores the wonderful world of Roald Dahl and Quentin Blake. On display are over 80 objects including original manuscripts and illustrations of some of the most memorable characters in children’s literature from The Twits to Willy Wonka. The exhibition explores the relationship between Blake and Dahl and how they went about creating what each character should look like. 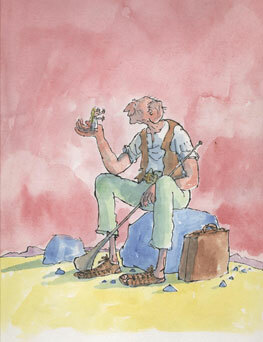 It shows objects such as a sandal sent from Dahl to Blake as inspiration for the BFG’s footwear as well as footage of Blake talking about his work and recordings of Dahl reciting some of his novels. This travelling exhibition has been developed by Seven Stories, the Centre for the Children’s Book. 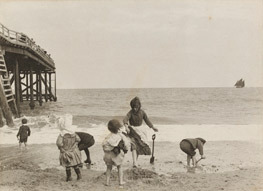 On display will be a selection of Paul Martin’s photographs documenting seaside holidaymakers in late-Victorian England. Disguising his camera as a leather box, Martin was able to record holidaymakers in the popular seaside resort of Yarmouth unnoticed. The display gives a fascinating insight into life in Victorian England and represents one of the earliest series of holiday snapshots. This display features puppets from the Little Angel Theatre’s production of The Giraffe and the Pelly and Me, an adaptation of the book by Roald Dahl, and looks at how a puppet theatre production is put together. Watch the Museum’s gardens come alive with music and DJ’s, dance troupes, mime artistes, storytellers, art activities and sample delicious food. 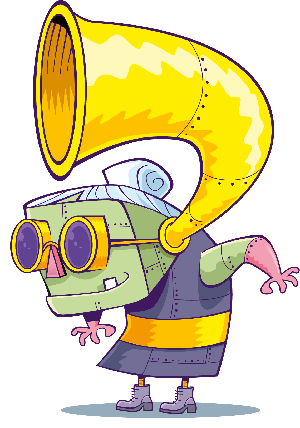 A series of hands-on activities to learn more about theatre costume, make-up, props and puppetry.